Shalav is the CEO of Smile For Hope in Nepal. With their local staff and partners and their international friends and benefactors they hope to eradicate suffering and bring smiles to the faces of people who struggle every day to eat and remain healthy. This is not easy since Nepal has a history of over six decades of failed development and extremely poor conveyance of education and health services. But through the work of many NGOs and extremely talented local entrepreneurs, many small areas of Nepal have seen substantial improvements. It is examples like these as well as the challenges they face that keep motivating them at Smile For Hope. Their focus lies in the health sector, specifically the health of women and children but our general efforts will be, to bring sustainable development where health equity can be realized. Health equity reaches further than mere access or equality in health. It looks at resources, the educational system, discrimination, prejudices, etc., that prevent effective conveyance of health care from reaching everyone and not just the well situated Nepalese. They will be working under this model to promote health and hope to have a profound effect in every sector. Shalav has over a decade of experience working with NGOs in Nepal, reaching from Asia to Europe including the fortunate position to work for Karuna-Shechen, an NGO established by Mathieu Richard, a great French philanthropists and Buddhist monk. He has his MSC in communications and publishing and has successfully lead IFRE Volunteers, a US based non-profit organization. 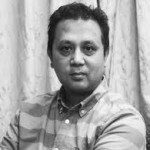 His long experience of working in remote, rural, semi-rural and urban areas has equipped him to lead a team that will bring health equity in Nepal.